This very popular piece has been arranged many times for various instruments. 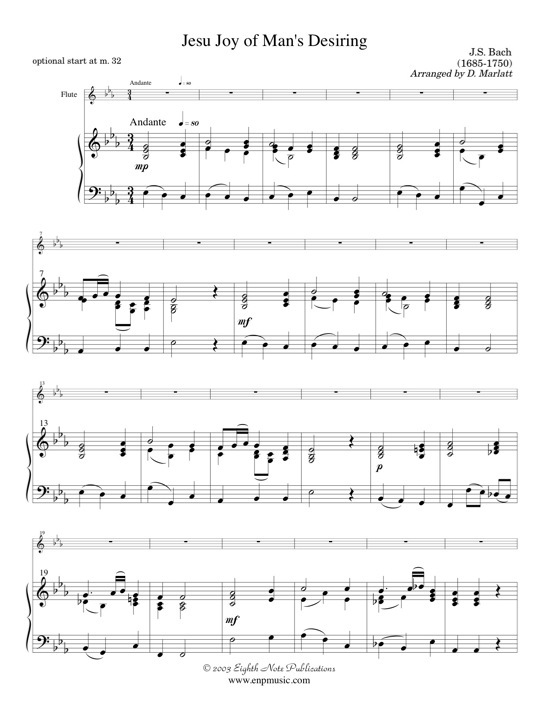 This version for flute and keyboard (organ or piano) alternates between the chorale theme and the wandering counter-melody that has made this piece so famous. Both the flute and piano get a chance at both the counter-melody and the chorale.